A vital ingredient for early-stage startup CEOs and founders is accessing insights, experience and networks to guide them on decision making and open new opportunities. We've pulled together a special group of industry and investment mentors to help MedLab founders achieve their ambition. Passionate about helping start ups engage customers and grow their business, Adeline coaches teams at Cicada Innovations, CSIRO, Blue Chilli, Muru-D, and Founder Institute . Previous mentoring and advisory roles have included NTUitive (Nanyang Technological University), Singapore Government's A*STAR, UN Women STEM Ambassador, Young Women's Leadership Connection and SG50 committee member for Singapore's 50th birthday. Founding team member of award winning start ups in fields as diverse as nanotechnology (3D for your phone created with nano-lenses), fintech (financial literacy for kids), and edtech (Singapore's first kids coding school). Prior to these roles, I worked in senior marketing positions with global companies such as American Express, Ogilvy & Mather, and Philips. Ali is the co-inventor, founder and director of Trimph, a biomedical start-up company that aims to make open surgery a thing of the past. Trimph’s breakthrough technology, developed during Ali’s PhD at the University of Sydney, is a unique scaffold that can be injected into the body to regenerate both soft and hard damaged tissue. Clinical trials have shown that Trimph accelerates wound healing, expediting patient recovery and health outcomes. Ali founded Trimph in 2015, raised capital, established a state-of-the art, ISO13485:2016 certified production facility and completed the first in human clinical trial for the technology. Dr Alison Todd has extensive experience within the pharmaceutical industry where she developed several novel molecular technologies which have been widely used for basic research, preclinical/clinical drug development and in vitro diagnostics (IVD). 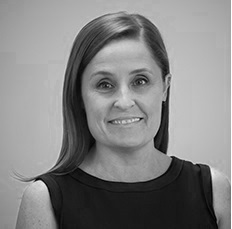 Prior to founding SpeeDx, Alison was a Senior Research Director at Johnson and Johnson Research Pty Limited, Sydney. She is an inventor on 21 patents/patent applications and these technologies have been used for monitoring nine international clinical trials. Further, her inventions form the basis of 10 medical diagnostic products sold by SpeeDx or its licensees throughout Australia, NZ, the USA and Europe. Alison studied at the University of Sydney, obtaining BSc (Hons 1st Class) and a PhD. She maintains an active involvement within the academic community and holds an adjunct appointment at the University of New South Wales. Alister is the founder and Managing Partner of Tempus Partners. Having begun his career in dot-com era technology, Alister has more than 15 years experience as an investor, founder and trusted adviser to tech companies. He oversees Tempus Partners’ first and second funds, and is also a director of Auror, Forever Network and Uptick. He co-founded ShippingEasy, a market-leading SaaS company (acquired by stamps.com, July 2016) and previously led digital strategy and M&A at Fairfax Media. Current full time role – General Partner of IAG Firemark Ventures (a $75m dedicated fund to help IAG evolve into the future of AI, data and analytics). Colin Denver is an experienced sales professional with over 15 years working in the Life Science and Diagnostic fields. He has experience in establishing new organisations having set up Bioline in Australia in 2004. Colin enjoyed continued growth while at Bioline with quarter on quarter growth achieved since inception. Colin went on to manage sales in Asia/Pacific for Meridian Bioscience (post Bioline acquisition) and drove consistent growth within the territory. Colin started as Vice President of Sales and Marketing for SpeeDx, responsible for the promotion of all SpeeDx branded products as well as acquisition of new licensing and commercial agreements. He now holds the role of CEO, overseeing the expansion of SpeeDx as products are launched across Europe, United States and Australia/New Zealand. Colin holds a Bachelor of Science from Pepperdine University and a Post Graduate Diploma of Management from MGSM. As General Manager for Yamaha Motor Ventures & Laboratory (YMV) in Australia and New Zealand, Craig Boshier leads the first YMV team to be based outside of Silicon Valley, and co-leads YMV's global MedTech investment and partnership strategy. Prior to joining YMV Craig was Co-Founder and Director of Valu Health, and prior to that he was Partner and Managing Director with Boston Consulting Group Digital Ventures (BCGDV), where he led the design, build and launch of new ventures in Australia, Malaysia, India and Thailand. Before BCGDV, Craig was Principal in a design led innovation consultancy, and worked as a Senior Psychologist and Product Manager for digital psychometric assessment start up in Sydney. With a passion for start ups and entrepreneurship, Craig actively volunteers as a mentor with a number of Australian accelerators and incubators, and has several advisory board positions. Craig holds a BSc (Hons) and MSc (Distinction) in Occupational Psychology, a Graduate Certificate in Change Management from the Australian Graduate School of Management (AGSM), has completed the Company Directors Course with the Australian Institute of Company Directors (AICD), and has trained in Behavior Design at Stanford University. David is an entrepreneur, executive and advisor specialising in technology commercialisation and early stage ventures for biomedical technologies. David currently heads up business development and innovation at the Garvan, a medical research institute in Sydney Australia that leads the world with its work in the areas of genomics, bioinformatics, cancer, and immunology. David has previously led a team commercialising medical technologies in Singapore with A*STAR, the national science and technology agency. He has 15+ years experience consulting to and founding new ventures in the life sciences area. This has included roles with Anatomics, a medical device company developing software for producing 3D printed patient specific implants; Saluda Medical that are commercializing a new spinal cord stimulator comprising closed loop feedback control for the treatment of chronic pain; and Simavita which brought to market, a world first “wearable” wireless continence monitoring technology for residential aged care. David has an Honours degree in Computer Science from UNSW and has a Masters of Intellectual property Law from Monash University. His interest areas include business models for precision medicine, AI for healthcare, genomics, bioinformatics, medical IOT, brain-computer interface, bioelectronic medicine, medical imaging and wearable sensors. David is a Venture Partner with Brandon Capital Partners having helped found the business in 2007. David had previously established, Brandon Capital Management, the Investment Manager for three life sciences Pooled Development Funds in 1999. Before this, David was foundation CEO of Peptech Limited. During this period Peptech went from a start-up to having R&D operations in Australia, the UK, the US and manufacturing operations in Denmark. Prior to Peptech David spent ten years with Pharmacia AB (now part of Pfizer, Inc), including five years at their head office in Sweden. David is a Chief Executive Officer of GI Therapies P/L, and a Director of Nanosonics Ltd. He is a past President of the Australian Biotechnology Association and past Chairman of the CSIRO’s Division of Animal Production Industry Advisory Committee. He has a first class Honours degree in Rural Science, a PhD in Chemical Engineering from the University of Sydney and a Masters degree in Applied Finance. Garry Visontay is an entrepreneur and investor who has started and grown five businesses in a variety of industries. He is a General Partner at Right Click Capital, an investment firm that specialises in identifying and investing in high-growth, early-stage Internet-based businesses; cofounder and Chairman of RecruitLoop; Chairman of Oneflare; Chairman of Generation Entrepreneur and past Chairman of DesignCrowd. He serves as a mentor, guest speaker and panellist at various start-up, entrepreneurship and university programs. With more than four decades of experience in the Australian and New Zealand healthcare sectors, Jamie Stanistreet has been an active member of the Australian medical devices industry and is committed to improving access for all Australians and New Zealanders requiring medical technology. He was Managing Director & Vice President Medtronic Australia & New Zealand for over 17 years. Under his tenure, the business grew over 10-fold over this period. Prior to Medtronic, he worked with, AVE, Bard Australia, Bio-Spectrum, Stelmara Biomedical & 3M Australia. As CEO and Founder of Kairos Now Pty Ltd, Jane builds and works with organisations shaping and activating their Consumer Engagement and Innovation strategies. Her work with focuses on reframing problems and strategic questions, identifying opportunities, designing and integrating business models to implement futures that will differentiate and sustain them in the market place. Prior to founding Kairos Now in 2012, Jane worked in the Healthcare industry. This included the design of diagnostic assays and transfer of technology (QEH, London, Biomedical Systems), diagnostics (Kodak, J&J Medical, BioRad), medical devices (Polartechnics, Cochlear) and pharmaceuticals (Eli Lilly) in a variety of roles. 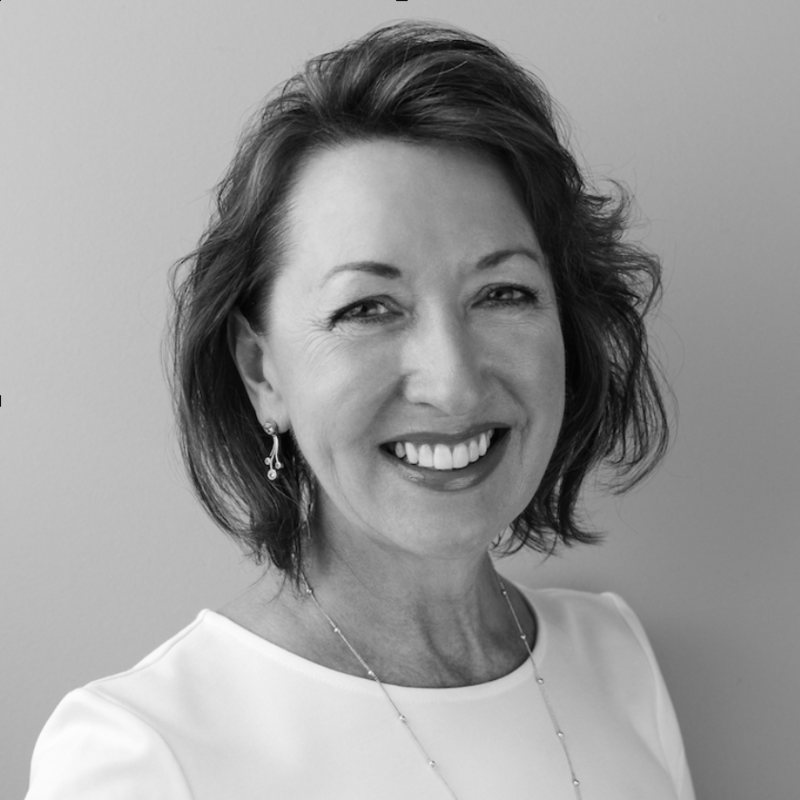 Jane is a council member on the Chris O’Brien Lifehouse Partnership Advisory Council, Central and eastern Sydney Primary Health Network and Care Connected Clinical Advisory Committee. A pioneer in the arena of the last 15 years. He is passionate about the accelerating convergence of the digital and physical, with a track record of successful human-centric product design and management. After starting his career as an ecologist investigating how plants and animals interact with their environment, Kit moved into digital media. He quickly found his niche in the nascent mobile sector with Telmap – one of the first to define and develop the field of mobile location based services and navigation – helping to drive the product and business to international success. Kit then worked to create and grow a consulting company focused on leveraging the intersection of technology, content and marketing. In 2015, Kit co-founded Brook, a digital health company committed to helping people own their health at the speed of life. Its initial product, Brook Health Companion, is a personal health service that pushes beyond artificial intelligence to augmented intelligence, combining intelligent data collection and analysis with live, compassionate support from skilled nutritionists, certified diabetes experts, and other highly qualified specialists. Brook Health Companion has been embraced by healthcare insurance plans and practitioners to help people manage their health, in particular chronic conditions such as diabetes, hypertension and more. Mike rejoined IP Group in 2017 as Managing Director, Australia. Mike has direct experience in commercialisation of technology in both Australia and the UK. Immediately prior to his current role, Mike was an Investment Manager with Brandon Capital, a leading investor in Australian biotechnology and manager of the Medical Research Commercialisation Fund. Previous roles include a previous stint with IP Group as Director of IP Capital in the UK, and strategy roles with McKinsey and Company and Cricket Australia. Mike holds a DPhil and MSc in Biomedical Engineering from the University of Oxford, where he was a recipient of the Fairfax Scholarship, and undergraduate degrees in Chemical Engineering and Science (Chemistry, Biochemistry and Molecular Biology) from the University of Melbourne. Mike is a named inventor on two patents arising from his DPhil research. Mike is a Partner at Main Sequence Ventures, the CSIRO's venture capital fund. The fund specialises in backing deep tech, science & engineering driven founders. 25 yrs + business experience in Sales, Marketing & Technology Development, CEO/MD/Founder of 6 companies with practical experience across a range of industries. Formerly Resident Entrepreneur at INCUBATE and Director at Intellectual Ventures Invention Development Fund. Neil is CEO and co-founder of Medulla, a cloud platform helping medical device companies manufacture higher quality products more effectively. His career has focused on manufacturing and automation across several industries; space robotics, telecom, quantum cryptography, and most recently in medical devices leading Cochlear’s test automation team. Neil has a PhD in physics from the University of Sydney. Dr Peter Cronin (BTech ,MbChB, MBA) is a successful healthcare entrepreneur and doctor. He is the founder of Prospection, a leading Australian health analytics company, having previously founded and sold a medical recruitment business to an ASX listed company. Peter is a software engineering professional who focuses on delivery of projects to a high level of quality in an effective, efficient and elegant manner. He has been in the software industry for 20 years, the last 15 of which have been focused on Enterprise Java solutions using primarily Oracle's WebLogic family of products. Peter is the director of a company that explicitly focuses on technology based startups. They produce prototypes and proofs of concept to clients ranging from enterprises to 'one person with an idea'. Peter is the Mentor in Residence at River City Labs, a co-working space that focuses on internet and mobile startups. He is also the Technical Lead for Startup Catalyst. Phil is a Partner in the CSIRO's venture capital Fund, Main Sequence Ventures. The fund specialises in backing deep tech, science-driven founders. He is also a Director of the Food Agility CRC and on the Advisory Board of Startup Muster. Before this, he was the CEO of Australia's first tech startup incubator, Pollenizer. Dr Raghav Murali-Ganesh is the Co-Founder & President of CancerAid. Completing his Medical Training at Nottingham University, UK, Raghav moved to Sydney, Australia and undertook training in Radiation Oncology at RPA hospital, having completed his specialist qualifications in Radiation Oncology in 2016. Raghav has the ambition of improving healthcare outcomes with the use of digital tools and was drawn towards developing CancerAid. Combining oncological knowledge, entrepreneurial skills and a vision for technology solutions, CancerAid has become the number 1 Cancer App in Australia, the US and the UK. Having received prestigious honours including an appearance on Shark Tank 2017, Emerging Company of the year 2017 (AusBiotech / Johnson & Johnson), Best Global Startup (Sir Richard Branson), Best Startup creating Social impact (Steve Wozniak) and the EY Accelerating Entrepreneur award for recognition towards the initiative in creating CancerAid as an innovative healthcare solution to change cancer care on a global scale. Rob is the Principal of his solo practice Rob McInnes IP Advisory, which he founded after practising for 30 years in large law and patent attorney firms. Rob specialises in intellectual property transactions, and advises clients on the management, commercialisation and enforcement of IP rights. He assists clients with planning, negotiating and drafting licensing and other IP agreements, and the setting up and financing of new technology ventures. In addition to his career as a lawyer in private practice, Rob has a degree in chemistry and has been an in-house Manager of IP and Technology Transfer with a large company. For most of the past decade Rob has been listed by Intellectual Asset Management Magazine as Australia’s most highly recommended patent and technology licensing lawyer. He is one of the few Australian lawyers to have met the requirements for the US-based Certified Licensing Professional qualification. Rod is currently the Chief Operating Officer at Baraja, a technology startup that designs and manufactures high-resolution 3D machine vision systems for autonomous vehicles, robotics, site surveying and mining applications. Prior to joining Baraha, Rod served as Head of Manufacturing at Cochlear Ltd for 13 years, following almost a decade in GM Holden Ltd where he served in global customer liaison roles and large scale transformational leadership roles. Rod is a Graduate from the Australian Institute of Company Directors and holds a Bachelor of Engineering and an MBA, both from Monash University. Rod also serves as Adjunct Faculty at MGSM, AGSM and the University of Sydney Business School. Romain has co-founded diverse companies over the past 12 years. The first was in telecommunications, when VOIP was beginning to emerge as a disruptor. iVox was Australia’s first wholesale provider of VOIP and is now listed on the Australian stock exchange, after merging with In A Box Telecom. Romain then founded and built Lumigenix, Australia’s first direct to consumer genomics company, recognising the vast potential of advancements in genotyping technology to transform healthcare. This passion for healthcare has continued into his current business – Tyde – a connected care platform that has recently closed Series A funding. Dr Zachary Tan is the Director of Partnerships at CancerAid. Zachary is a physician by background and at CancerAid, sits at the intersection of digital product implementation, research and commercialisation. Zachary is passionate about using technology to innovate models of healthcare delivery and improve outcomes on a broader scale. CancerAid has become the number 1 Cancer App in Australia, the US and the UK. Having received prestigious honours including an appearance on Shark Tank 2017, Emerging Company of the Year 2017 (AusBiotech / Johnson & Johnson), Best Global Startup (Sir Richard Branson) and Best Startup Creating Social Impact (Steve Wozniak), CancerAid is an innovative healthcare solution improving cancer care on a global scale. Sam is a Partner at Blackbird Ventures, a technology venture capital fund with around $500m under management. Prior to joining Blackbird she was a founder, a product manager and a lawyer. Stephen Ruffels has been in MedTech for over 13 years, gaining a depth of experience in medical device product development and commercialisation. This has been across a wide-range of products from Class III embedded systems to clinical SaaS and patient engagement apps. Stephen holds a Bachelor of Engineering (Computer) and Masters in Biomedical Engineering, both from University of New South Wales. Stephen is currently Director, Product Development at ResMed. Stephen is a founding partner of Brandon Capital Partners. Before moving to Australia, Stephen was a Director of Apax Partners based in London. Previously, he fulfilled roles in product development with UK biotechnology company Cantab Pharmaceuticals. Earlier, Stephen spent ten years as a research immunologist in London and California. Stephen is a former director of Elastagen, (acquired by Allergan in 2018), and his current directorships include; MecRx Pty Ltd, OncoRes Medical P/L, Respirion Pharmaceuticals P/L and Vaxxas P/L. He is also a Director of the Australian Private Equity & Venture Capital Association Limited (AVCAL). Stephen has an Honours degree in Immunology and Biochemistry, a PhD in Immunology from Kings College London and an MBA, specialising in Entrepreneurship, from Imperial College London. Stephen is a Graduate of the Australian Institute of Company Directors. Dr. Suzanne M. Miller is a physician with a penchant for business and technology always looking to expand her impact on others. After earning a MD at Harvard Medical School and training in emergency medicine at Stanford University, Suzie has practiced medicine on every continent. Highlights include serving as attending emergency physician and ultrasound director at a level I trauma center near Washington, DC, providing disaster response after the Haitian earthquake, volunteering in Palestinian refugee camps, and caring for adventure racers from the Sahara Desert to Antarctica. After finding success as founder and CEO of MDadmit medical admissions and writing several best-selling books, Suzie merged her interest in medicine, business, and technology by serving as early-stage chief medical officer (CMO) for Eniware, a Noxilizer spin-off company providing portable sterilization solutions for the developing world. Since she began splitting her time between Australia and the US, Suzie continues to work in emergency medicine, serves as CMO for mHealth Digital, which has launched its first app called SunVisor in the US and Australia, and most recently joined Coviu Global as chief clinical officer with the goal of making telehealth business as usual in medical practice. Suzie hopes to leverage her unique experiences practicing medicine in developed, under-resourced, and austere environments; running her own successful business; and liaising between engineers, entrepreneurs, physicians, and patients to continue developing health technologies that improve lives. An accomplished business leader with extensive sales and marketing experience within the healthcare space, Valerie is a strategic thinker with experience in leading and developing people to get the best out of a team. 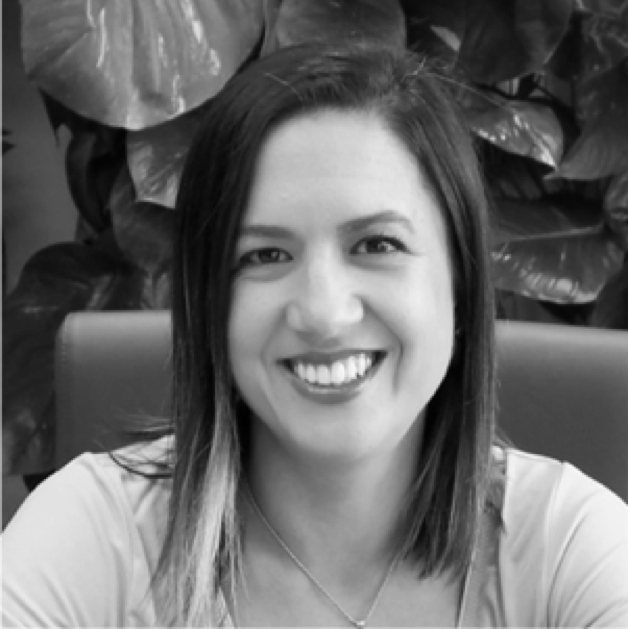 With over 15 year’s experience in the Healthcare space and experience across all stages of the product life cycle, Valerie leads the BD (Becton Dickinson) Diabetes Care team for ANZ. Prior to this role, Valerie had a variety of sales and marketing roles with increasing responsibilities. Valerie holds a BAppSc (Phty) from the University of Sydney and a MBA from MGSM. Vanessa is a creative leader with 18+ years global experience in innovating, incubating and launching new products and services and leading digital transformations, all from a foundation of human centred design. She founded Valu Health on the belief that we can create tomorrow’s healthcare, aged care and disability services today, through more human experiences, more transformational services and through digital innovation. Prior to Valu Health, Vanessa was a Vice President and founding member of BCG Digital Ventures in Asia and jointly led their Strategic Design and Health practices, whist growing the business from 20 to 100+ in three years. In this time, she designed and launched a new health insurance business with a digital wellness platform, led significant digital transformations, and created multiple new ventures for corporate partners, outside of their core business. Highlights of her previous work include building the UK’s National Reporting and Learning System that enables the NHS to learn from when things go wrong; designing and launching the evidence-based care pathway platform, the Map of Medicine, across multiple countries including a pilot in Africa with the WHO; and participating in interoperability standards committees. She also advises a range of start-ups and not-for-profits in disability services, cancer care and drone-delivered video analytics. Domain Experts bring the deep subject matter expertise that is so valuable in deep tech areas such as medtech. Alfredo is a Graduate of the Australian Institute of Company Directors, a Registered Technology Transfer Professional and a member of the AusMedTech (Medical Devices) National Committee of AusBiotech. With a B.S. in Biomedical Engineering from Louisiana Tech University (USA), a PhD and post-doctoral training in biomedical sciences from University of Technology, Sydney; Alfredo brings more than 16 years’ research experience in the areas of: artificial organs, cardiovascular and cerebrovascular physiology, membrane transport, and oxygen transport to tissue. He has been working as business development manager in Technology Transfer/commercialisation for the past 13 years at public hospitals and in academia. Alfredo’s main areas of interest are sustainable funding for science, entrepreneurship and innovation, project management in science and business development. He is passionate about engaging with researchers and Industry specialist in the Life Sciences arena to translate research discoveries into social impact. He currently holds the position of General Manager, Stakeholder Engagement at MTPConnect. Andre has been involved in both early-stage medtech R&D and commercial activities, for both therapeutics and diagnostics. His experience ranges from being an inventor to a therapeutic technology using non-invasive electrical stimulation treatments for chronic constipation (where the technology went on to secure VC financing in 2012), though to undertaking R&D for medical research prototypes intended for oncology applications, developing 3D-printed custom dental implants and developing both preclinical R&D and commercial plans for sutureless-wound closure technologies. He has led the introduction of a Singaporean medtech’s stain-free, fully-automated laser-based multiphoton imaging system for fixed tissue into the Australian preclinical research market for fibrosis imaging and anti-fibrotic drug validation, and undertook in-theatre clinical support activities for another Singapore-based medtech’s robotic MRI-US fusion prostate cancer biopsy system at key reference sites across south-east Australia. In his current role at IQVIA, Andre takes an active interest in the clinical development of medical devices and is passionate about helping medtech and healthcare companies integrate clinical development strategies into product development & commercialisation. international relationships, this provides a truly global perspective. Medical Products and on Implant Tracking. Fred is currently Head of Regulatory Affairs at Nanosonics, Australian leading medical device company, specialised in infection prevention, and has been in Regulatory Affairs functions for more than 10 years. Before joining Nanosonics, Fred has been managing the Regulatory Affairs and Quality function for Cochlear across Asia Pacific and Europe for 8 years. Prior to this, Fred went through the great adventure of business creation, as a co-founder of an implantable medical device company in Europe. Fred has a PhD in Material Sciences and a Master degree in Innovation Management. Gavin specialises in the drafting and prosecution of patent applications in the areas of molecular biology, biochemistry, genetics, microbiology, pharmaceuticals and research tools. Gavin provides strategic advice to clients in relation to their patent portfolios, advises on patent validity and infringement, and conducts patent oppositions. Having been awarded the University Medal Gavin completed his PhD at the CSIRO Division of Biomolecular Engineering in Sydney before taking up an NHMRC CJ Martin Postdoctoral Fellowship in the UK at the University of Oxford, Department of Biochemistry, working in the field of genetic recombination. After three years in Europe, including short stints at medical research centres in Japan and Norway, Gavin returned to Australia. He is the author of numerous research papers in peer-reviewed international journals and has contributed to texts in the fields of antibiotic resistance and molecular microbiology. He continues to lecture widely on biotechnology patenting issues. He has won numerous awards for his research, including the inaugural Australian Society for Microbiology Research Trust Award. Gavin joined Davies Collison Cave as a partner in 2006 having previously been a principal at another Australian IP firm. George is a healthcare pricing and reimbursement professional with over 25 years’ experience across in local and international healthcare companies. George worked in both local operating company and global levels in increasing levels of responsibility for leading pharmaceutical companies in Australia, Belgium and the United States. He has previously worked for Pharmacia, Johnson and Johnson, Schering-Plough and Merck. George has experience in the pharmaceutical, biotech and medical device industry, including clinical research, health economics, reimbursement, pricing and business development. George is currently Partner and Director of Lucid Health Consulting, and Managing Director of Emerald Corporate Group, strategic healthcare consultancies providing services to assist healthcare companies with the market access for their pharmaceutical, biotech, medical device or diagnostic technologies. These services include health economics strategy, health technology assessment, pricing and reimbursement strategy development and advisory board participation. George received his BSc(Hons) from the University of Sydney and Grad Dip Epi(Pharmacoepi) from University of Newcastle. He is President of the Board of ARCS (Australasian Society Regulatory and Clinical Scientists); Member of Heath Economics Expert Panel of Ausbiotech and an Expert Network Member for Department of Industry, Innovation, Science and Technology, Accelerating Commercialisation – Entrepreneurs Programme. The work that I undertake with clients is across the spectrum of M&A, corporate and commercial transactions. I bring the additional perspective gained through investing a significant part of my career working on the client side of transactions holding executive roles from corporate development and strategy to line management with P&L responsibility. I trained with a US corporate firm in Sydney, and then worked with a magic circle firm in London, specialising in private equity. I have never been too far from the industry, taking commercial roles with portfolio companies of The Carlyle Group in London (energy infrastructure) and Advent Capital in Sydney (construction), and consulting to CHAMP Private Equity. I understand first hand the time involved in building trust to originate a transaction, the commercial dynamics and obstacles, and the role that a good lawyer plays. Murray holds a Master’s Degree in Industrial Design from the Royal College of Art in London and has over 40 years of international industry experience as a consultant Industrial Designer. In 1987 Murray founded Design + Industry (D+I), a product design and engineering consultancy with offices in Sydney and Melbourne, that is now the largest and leading design and engineering consultancy in Australia, specialising in the development of high technology business, medical and consumer products. D+I is renowned for design and engineering technically sophisticated and highly complex products with extensive experience in electro-mechanical devices and design for manufacture. 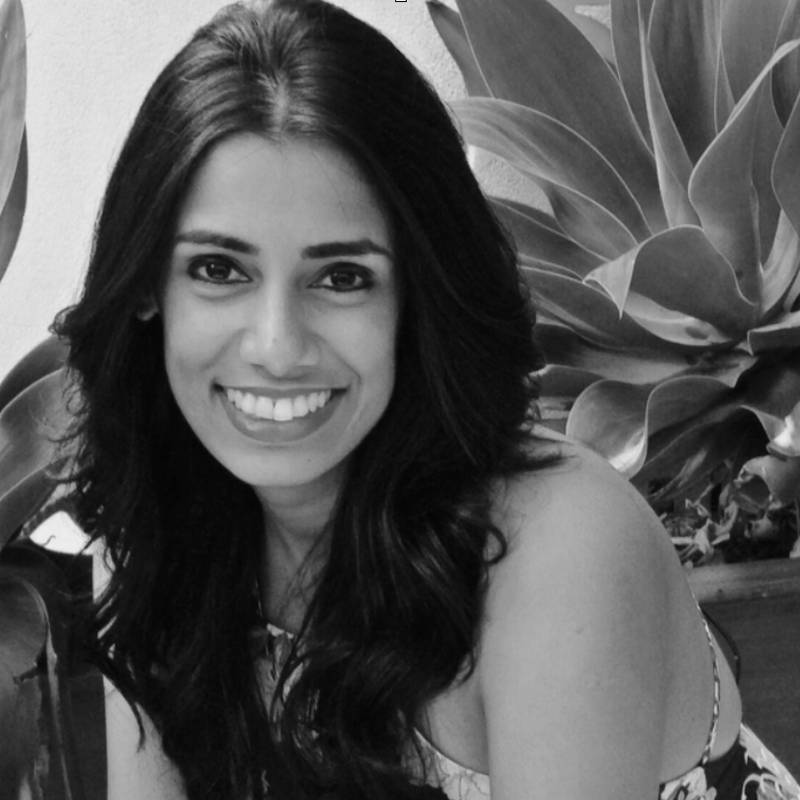 With over ten years’ experience within the medical device industry, Parmjeet is currently Regulatory Affairs Manager at Saluda Medical, a start-up company whose aim is to develop advanced neuromodulation systems for the next generation of implantable neurostimulation devices. Prior to joining Saluda Medical, Parmjeet served in various regulatory functions at Cochlear Ltd and Alere Inc, both in Australia and Europe, developing regulatory strategies and securing global regulatory approvals for devices ranging from active implantable medical devices to in vitro diagnostics. Richard’s career has been devoted to developing and launching new products from the beginning. Starting out at Resmed, in over 15 years in the industry Richard has been part of and lead, multi-disciplinary teams in delivering disruptive technologies to the market. He has worked with some of the industry’s largest multinationals as well as promising start ups. He cut his entrepreneurial teeth co-founding and growing IDE Group to a company of over 50 people, a company created to build better futures by delivering meaningful products upon which valuable businesses can be built. IDE Group and Richard have gone on to co-found and grow successful start-ups, and work with many organisations in supporting them in all aspects of entrepreneurship and commercialization, of successful medical products. Richard Walmsley is the Founder and CEO of Ingeneus Pty Ltd.
Richard has over 30 years experience in developing medical technology for international markets. He had a successful career in senior roles in the medical technology industry prior to starting Ingeneus. Richard holds a Bachelor of Engineering with Honours, a Masters in Applied Physics and a Graduate Diploma in Business Administration. He leads a team of highly skilled engineers and manufacturing specialists at Ingeneus. They have been selected for their experience in medical technology development and manufacturing and their familiarity with medical regulatory environments. Our world-class panel of guest speakers run highly specialised content sessions and workshops and are yet another valuable resource available to MedLab participants. An entrepreneur, angel investor, Director, and an advocate to the creation of a stronger Australian innovation culture, I work with early stage companies on commercialisation strategies and investment. This passion was built on top of my international experience traversing a number of industries including biotech, hi-tech, ecommerce and services. Key strengths: growing businesses, generating revenue, deal negotiations, and guiding companies through growth/ change, team building and 'customer' focus. Specialties: Commercial strategies, innovation, entrepreneurship, growth, business partnerships, market positioning. I build stronger brands, through a combination of business strategy, brand science and creative output. Brand equity analysis and growth implementation are key areas of interest, coming into play when organisations have change moments. I work with senior leadership teams, boards and brand guardians to assess and enhance their markets. Increasing long term brand equity is my expertise. This requires a conplete business approach, from supply chain governance to understanding the business and the customer thoroughly. Branding - its science and its utility in increasing equity is a subject I am deeply passionate about. The mix of cognitive science, financial stats, economics, business systems and creative output that is required to build long term brands makes this a particularly interesting area to work in. Over the last two decades, I have worked on a wide variety of global and national brands, won national and international awards in brand strategy and design, and quantifiably increased market results. Industry agnostic, I have been able to implement effective brand results across various fields, from FMCG, Pharmaceutical, Industrial, Automotive, Electronic, Medical, Pharma, Agricultural to the Startup-space. Work with markets like ANZ, China, UAE, India and the US has been a constant. Validation, and cutting the marketing bull so stakeholders can take good decisions is a primary aim. Every element needs to be informed and reflective of the brand it embodies. It is not an easy task, but the joy of solving a brand's conundrum is well worth the effort. Julie Alexander is a practicing maverick and thought leader on company culture. She’s also a business performance strategist and consultant. As CEO and founder of CHANGING CHANGE INTERNATIONAL (CCI), Julie has a particular focus - making companies great places to work. Julie and her team help clients realise high impact outcomes and dramatic shifts in performance through changing the way change happens using the Culture IncorporatedTM model to attune three critical areas: CULTURE, TEAMS and BUSINESS. The work transforms the entire organisation, so that team members thrive, solid bottom line results are attained, and sustainable competitive advantage is achieved. through culture. A book based on her most requested keynote - resilience - is also being crafted. with teams and clients such as Lloyds TSB, Royal Bank of Scotland, CBA, ANZ and Visa Consulting. rough; and wearing gardening gloves, all in a good cause. Anne O’Neill - Director, Enterprise and International Partnerships, NSW Office for Health and Medical Research, Ministry of Health. Anne has over 20 years’ experience in the health, medical research and policy sectors. She is responsible for leading the development and implementation of major policies and programs to enhance medical research capacity in NSW, and raise the profile of NSW research and development nationally and internationally. She has particular responsibility for the NSW Medical Device Fund and NSW Medical Device Commercialisation Training Program – both have been critical to accelerating the development of NSW IP and the next generation of innovators and entrepreneurs in NSW. Anne is also responsible for developing international partnerships in medical research and commercialisation. Warren is the founder and Executive Chairman of MedTech International, a Medical Technologies consultancy specialising in leading organisations with innovative, first to market and disruptive medical technologies with their global and domestic strategic planning, in market commercialisation, Board fulfilment and profitable execution. With more than 25 years of proven experience and success in the life sciences sector, Warren also manages an extensive portfolio in the NFP sector, providing strategic advice, board and ambassadorship, and hands on volunteering for more than 10 charities and NFP organisations. Warren was one of the global executives who introduced PillCam® (the worlds first video camera in a pill that you swallow) to the world, of which the company in 14 years went from start up in Year 2000 to being sold in 2014 for nearly $1 Billion. In mid 2014, Warren founded MedTech International, a Medical Technologies consultancy specialising in leading organisations with life saving and disruptive medical technologies with their global strategic implementation and commercialisation. Warren currently serves as the Vice President – Asia Pacific of Clinical Genomics, a member of the Board of Directors for Simavita (SVA), Chairman of The Hummingbird Fund, a Member of the Board of Directors of Endogene Ltd, Board member of Future Asset Management International (FAMI) and the ANZ Gastro International Training Association (ANZGITA). Warren actively supports the life-science sector, holding several positions as the Chair of the AusMedtech National Advisory Committee, past inaugural Chair of AusMedtech’s Health Economic Expert Panel, member of the IP Expert Panel and Co-chair of the AusMedtech 2017 Program Committee. Michelle Chee is Program Manager for Cicada Innovation’s medtech accelerator MedLab. She previously managed Cicada and NSW Health’s Medical Device Commercialisation Training Program (MDCTP) which has helped over 200 clinicians and researchers working a wide range of technologies from bioprinted heart tissues to wearables for early detection of asthma attacks. Before joining Cicada, Michelle drove multiple innovation strategies throughout Asia-Pacific for Cook Medical, the world’s largest privately held medical device company which included technology scouting missions and product development projects. Michelle holds both a BSC (Chemistry) and MCom (Applied Finance) from the University of Queensland. She is also an advisory board member with the University of Sydney’s INCUBATE Startup Program.